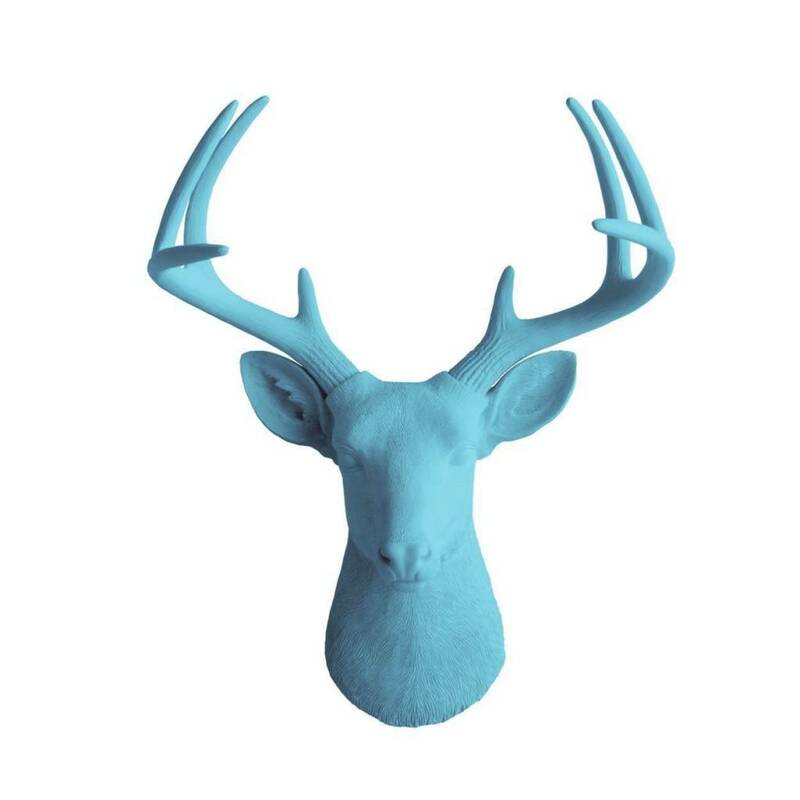 The Large Virginia Lake Blue faux taxidermy Deer Head Wall Sculpture. It features the dignified gaze of the elegant white-tailed deer. The natural detail in this faux taxidermy Deer Head Wall Mount piece is stunning. The Virginia is our most popular faux taxidermy wall mount piece. Our faux taxidermy pieces are a great way to decorate with nature in a chic way!